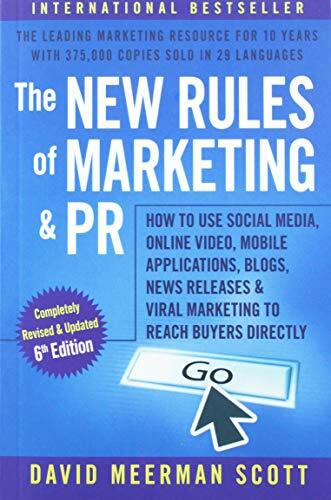 The New Rules of Marketing & PR is an international bestseller with more than 375,000 copies sold in twenty-nine languages. In the latest edition of this pioneering guide to the future of marketing, you'll get a step-by-step action plan for leveraging the power of the latest approaches to generating attention for your idea or your business. You'll learn how get the right information to the right people at the right time—at a fraction of the cost of traditional advertising.